If there was ever a time to assume the ber market is over, now would be that time. The market surged a whopping $20 billion on Tuesday with BTC smashing into the $4,800 range. The total market cap saw a $20 billion surge that saw bitcoin jump nearly 18% on the day. 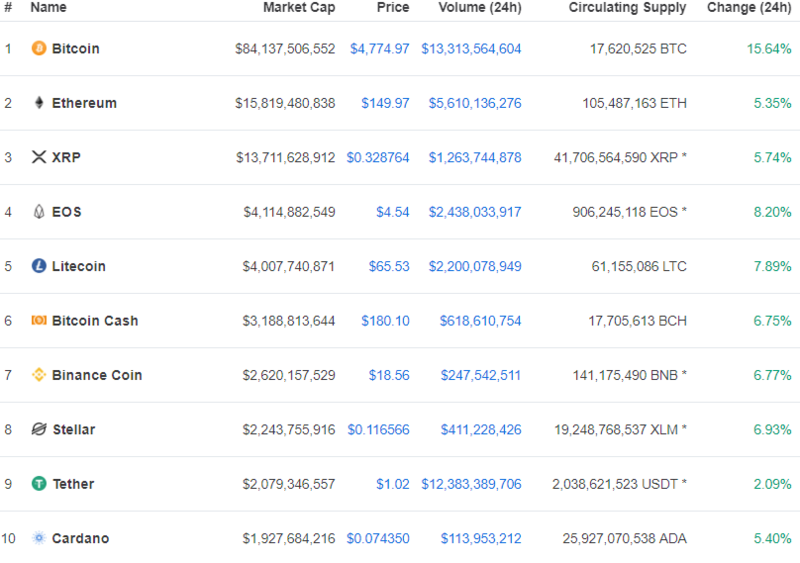 The top 10 also saw massive dollar gains. Moves like this have not been seen in months, leaving many to speculate with certainty, that the bear market is now over and we could be getting ready for the next bull run. 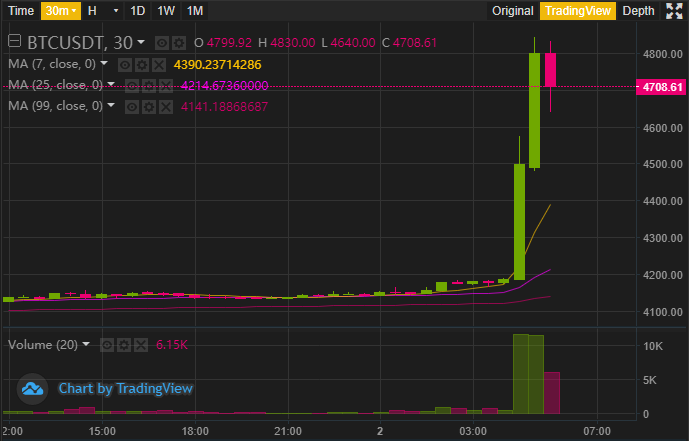 BitMex exchange saw BTC fly to $5,100 during the surge in price, with an additional $3 billion in BTC trading volume added today compared to yesterday. Bitcoin climbed suddenly on Tuesday to the highest level since November, shattering a three-month stretch of calm for the world’s most popular virtual currency. One thing is for sure, the bear market is most certainly a thing of the past. With the recent rice in prices on alts and now BTC popping. It appears that most people expect to see a major bull run in 2019.